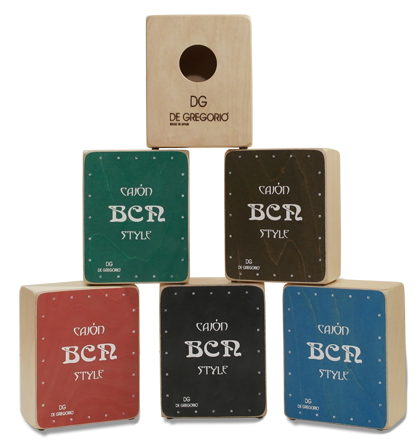 DG Percussion was established in 2002, by Paolo De Gregorio after he realised that was a lack of good sounding Cajons in the market. And even if there was a good sounding Cajon, the price was too steep for most working Musicians. Due to this fact, Paolo began to make Cajon has a small manufacturer, before expanding his workshop into a big warehouse, making thousands of Cajons a year. DG Cajons offers Cajons of all ranges and each Cajon is made with love and passion. DG Cajons are endorsed by Dave Weckl, Sheila E, Steward Copeland and more!